Opening hours this week: Wednesday 24.04.2019 from 12 noon to midnight. Thursday 25.05.2019 from 16:00 to 05:00. Friday and Saturday are open as usual. In the heart of the city, just a walk away from the city center’s entertainment spotsis, Open to all, sauna paradise is safe, clean, intimate and cozy place to enjoy and have fun together. Any time you want, 365 days a year, you can come to indulge in a variety of luxuries such as the powerful Jacuzziand the highly styled bars. 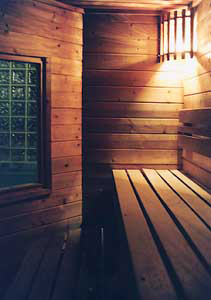 The sauna offers full service and daily cleaning, alongside a young and adult attractive crowd of different ages. 75 Allenby street, tel aviv.